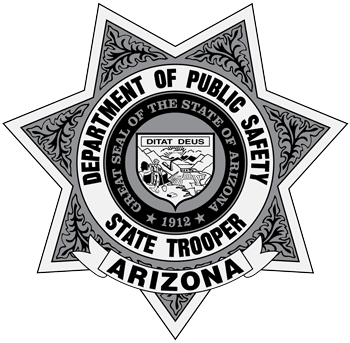 When: Saturday, October 27th, 10:00 a.m. to 2:00 p.m.
Unused or expired prescription medication are a public safety issue, leading to accidental poisoning, overdose and abuse. The non-medical use of prescription drugs ranks second only to marijuana as the most common form of drug abuse in America. The majority of teenagers abusing prescription drugs get them from family and friends and the home medicine cabinet. Take back programs are the best way to dispose of old drugs. Last spring, Americans turned in nearly 475 tons (949,046) pounds of prescription drugs at more than 5,800 sites operated by the DEA and almost 4,700 of its state and local law enforcement partners. 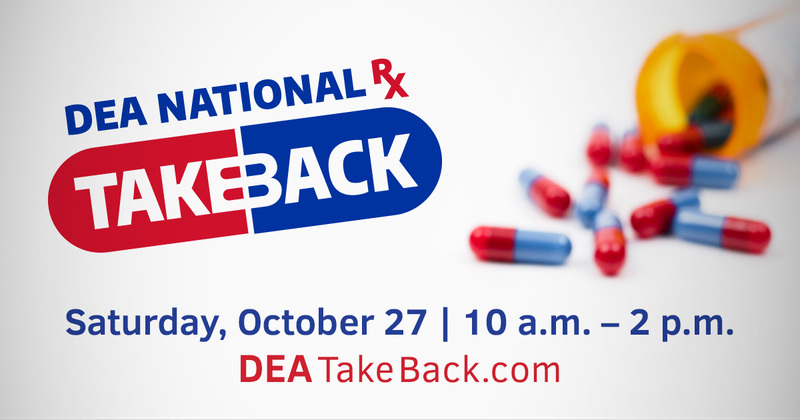 For more information on the DEA National Take Back please go to www.DEA.gov.